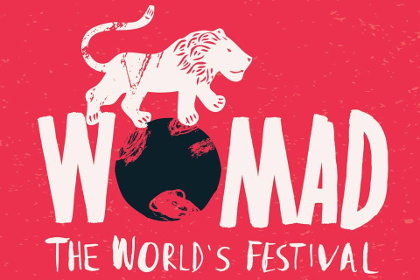 Our friends at WOMAD have announced the first line-up for their 2016 UK edition...and out of 20 artists announced, half of them are WOMEX Showcase alumni! 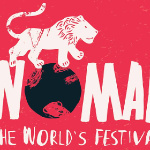 The past WOMEX showcasers announced for WOMAD so far are Baloji (2014), Blick Bassy (2015), Aziza Brahim (2015), Desert Slide (2010), Moh! 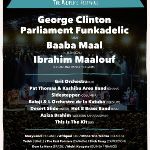 Kouyate (2015), Baaba Maal (1994), Ibrahim Maalouf (2011), Muzykanci (2015), Lula Pena (2014) and Pat Thomas and Kwashibu Area Band (2015). Let's also give a mention to the Grit Orchestra, a tribute to the much-missed fusion pioneer Martyn Bennett, who showcased in 1998. The festival will be held in Charlton Park in Wiltshire, UK from 28-31 July 2016.